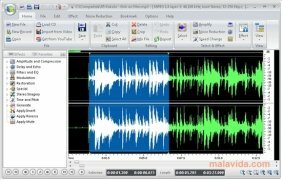 Power Sound Editor is a rather professional-looking audio editor that has a series of very practical functions as well as being quite simple to handle. The program offers compatibility with the majority of the most common audio formats (WMA, MP3, WAV,...) and a pack of tools that, as well as being practical, are rather original. - Collection of filters and effects (phaser, delay, reverb, chorus,...). - Pack of tools to clean audio (eliminating pops and hums). 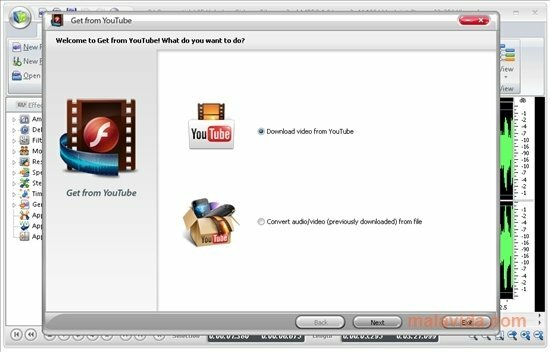 - Option to extract the audio from any video stored on our hard drive or hosted on YouTube. - Tool to rip CDs and burn optical discs. 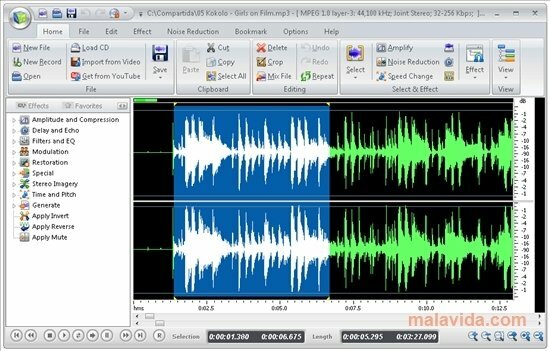 This simple audio editor comes with the popular Ribbon interface, present in many Microsoft developments, something that makes it easier to access the functions and works out to be very eye-catching. If you want to give any song a personal touch or record from any of your sound card's sources, Power Sound Editor may be one of your best options.